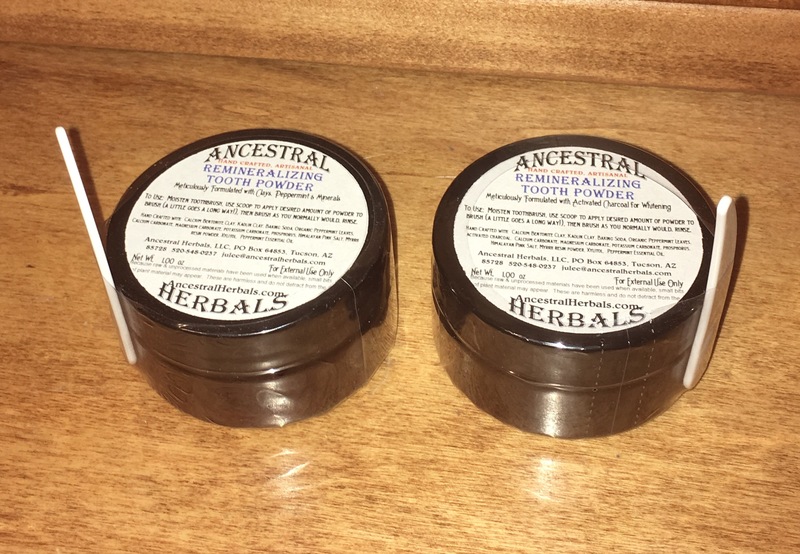 I’ve been making tooth powders and tooth pastes for a few years now – for myself and my family. A customer came to my table at an event and asked me about tooth powders. He had been paying the insane price being charged by another company (seriously, when you charge PER UNIT what it would cost that person to buy stuff and make their own entire BATCH, I call that gouging!) and was interested in buying LOCAL. I powdered organic peppermint leaves and used peppermint essential oil. As time marches on, there may be other flavors such as cinnamon, but for now, peppermint is the flavor. There is a little xylitol in this – it has been shown to be good for the teeth when used in a brushing preparation. Calcium Bentonite Clay as well as a full complement of minerals may help with remineralizing the teeth. Please remember, consumption of high amounts of sugar, especially high fructose corn syrup, causes the body to spend minerals to process and THAT is how sugars affect tooth decay. Once the excessive consumption of sugars has created a mineral deficiency, the body starts raiding minerals from what it considers an ‘expendable’ source – the teeth. In order for the body to absorb and utilize calcium, there must be magnesium and phosphorus present. The minerals hold each other in ratio in the body, so a deficiency in magnesium will encourage deficiencies in the other major minerals. This is why I’ve gone to the trouble of adding ALL the major minerals (Calcium, magnesium, potassium and phosphorus) to this preparation in the hopes that it will truly help. 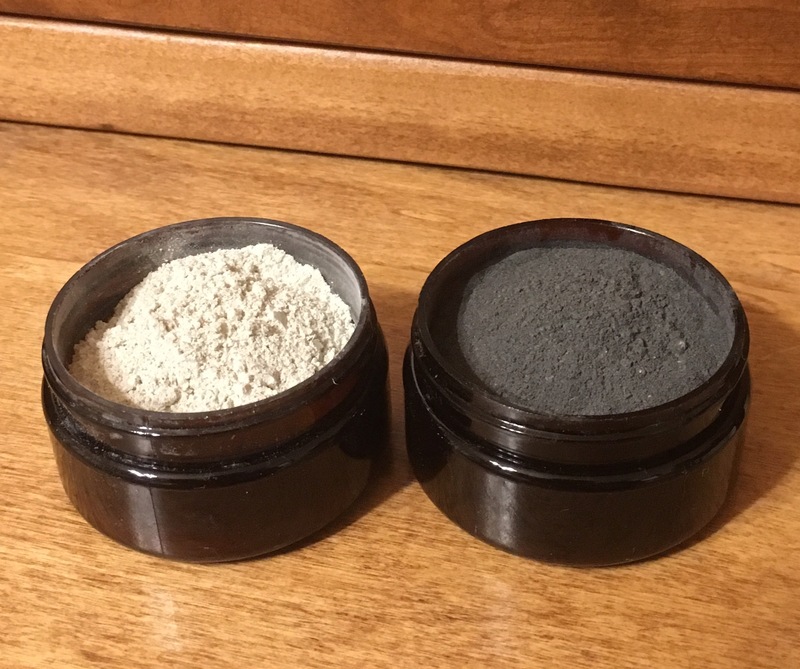 The whitening formula has food grade activated charcoal from a hard wood source and both contain Myrrh powder for it’s antibacterial properties. Each jar comes with a scoop to apply the powder to your moistened tooth brush. 1oz – get yours here.